RISING STAR MINT : 1 Gram German Silver Maple Leaf bullion bar w/leaf back. 1 Gram German Silver Maple Leaf bullion bar w/leaf back. 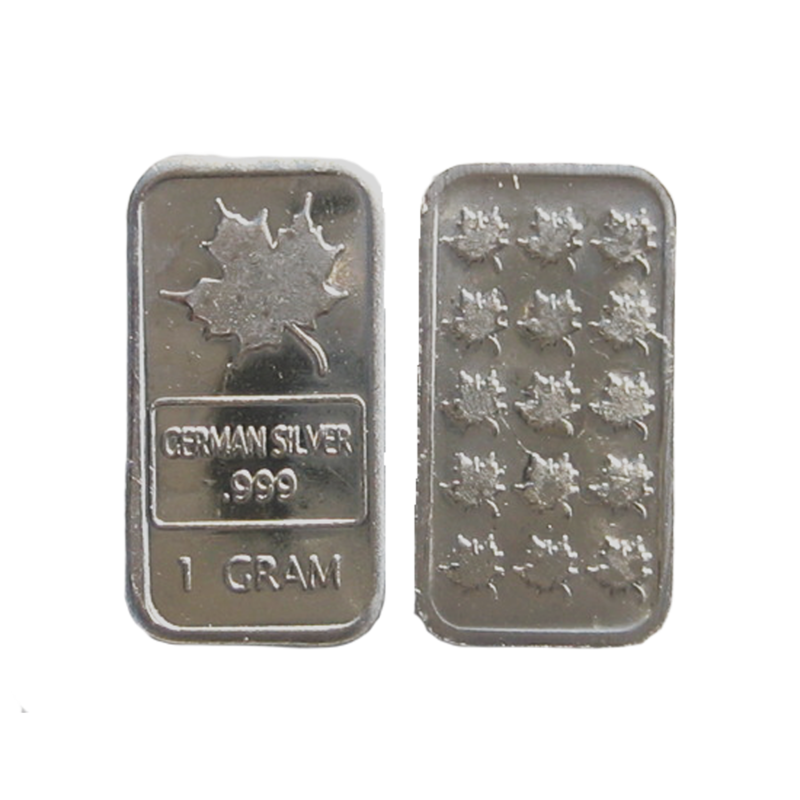 1 gram German Silver Maple Leaf bullion bar w/leaf back are produced in pure German Silver and would make a excellent addition to your collection.